MANILA, Philippines - A new local airline, SkyJet, will start regular commercial flights to underserved and unserved destinations such as Basco in Batanes; Virac, Catanduanes; Catarman, Northern Samar; and Surigao starting in the first week of October. 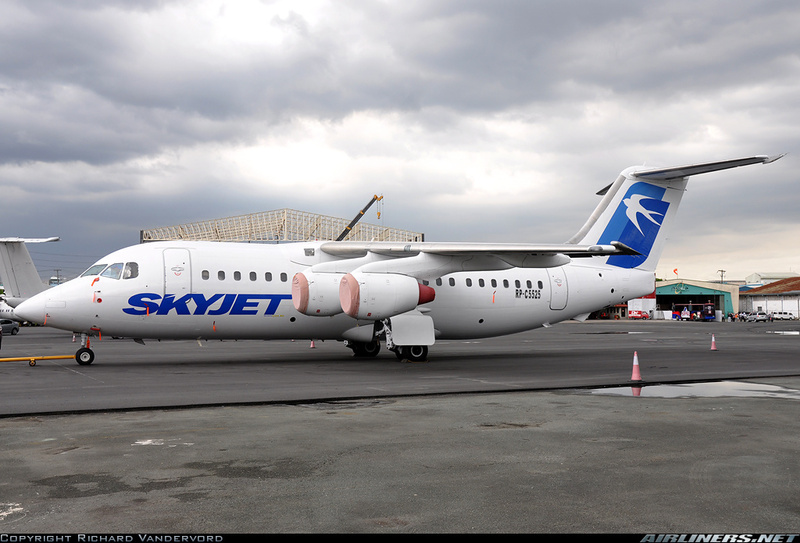 The announcement came on the heels of the recent decision of the Civil Aeronautics Board (CAB) to issue a temporary operating permit (TOP) to Magnum Air (SkyJet) Inc, the owner of SkyJet Airlines. "Our vision is to be an important partner in spurring economic activity through responsible tourism. We sell tourism destinations, not airline seats. And so we partner with local governments who share the same vision of responsible tourism," Magnum Air chief executive officer Dr. Joel Mendoza said in a statement on August 15. The airline, which uses a 94-seater British manufactured plane BAe 146-200, promises comfortable flights with snacks and comfortable seats. Mendoza said the BAe Systems is the same model used by the British Royal family. Others using the BAE Systems aircrafts include British airlines, Lufthansa, and other Europe-based airlines.